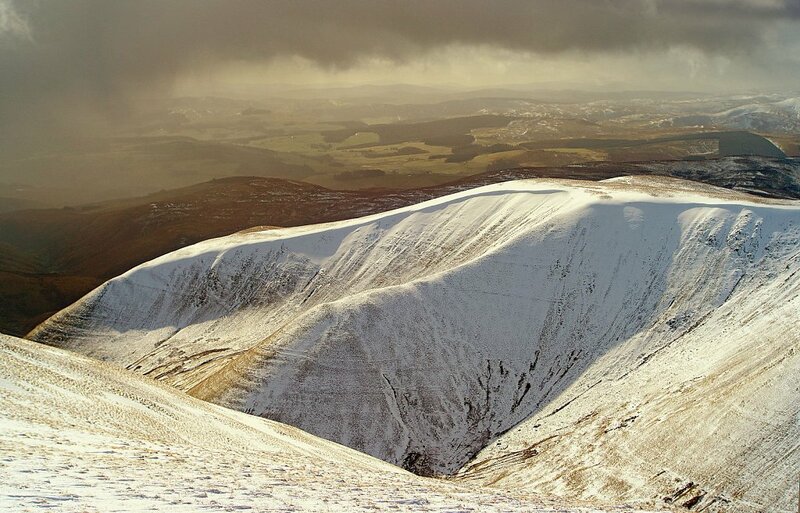 A fabulous form on this hill, and one I look forward to skiing in future. 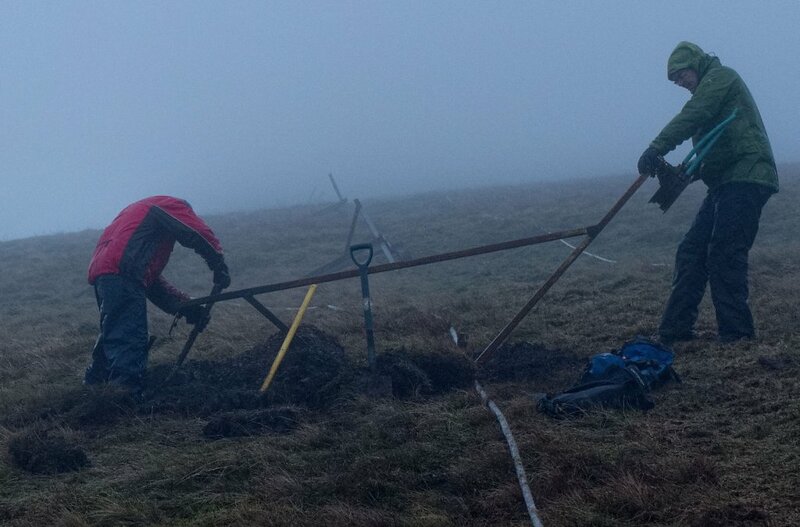 Late 2014, even more digging in the rain. Anjo and Bruce Wilkinson from Cumbria trying to keep up their spirits in the damp conditions. Volunteer Des Reid at a work party in December 2015. 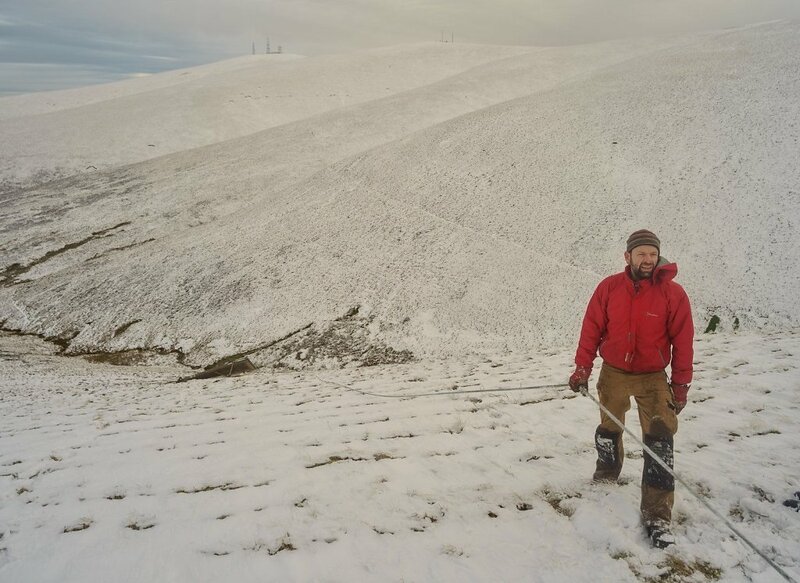 On Lowther Hill summit, volunteer and snowboarder, Chris Penny, takes it all in. 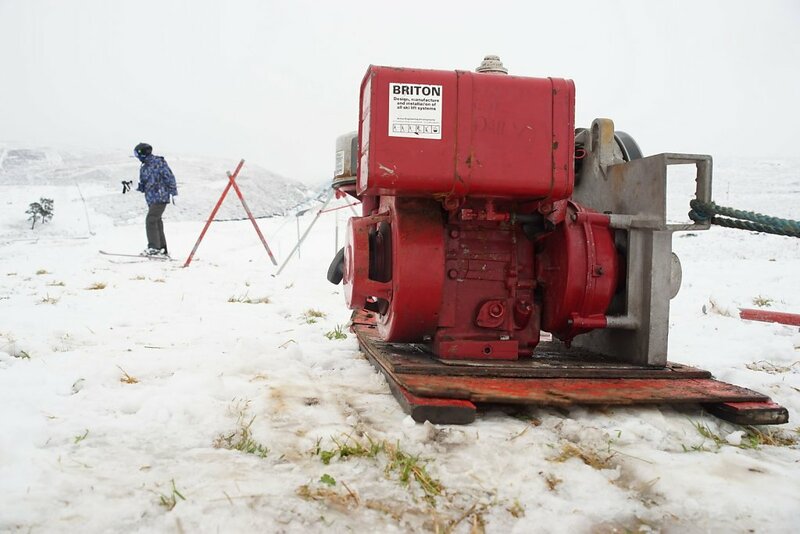 First used in January 2014, we run several of these petrol powered portable ski rope tows which can be moved to the snow at short notice. 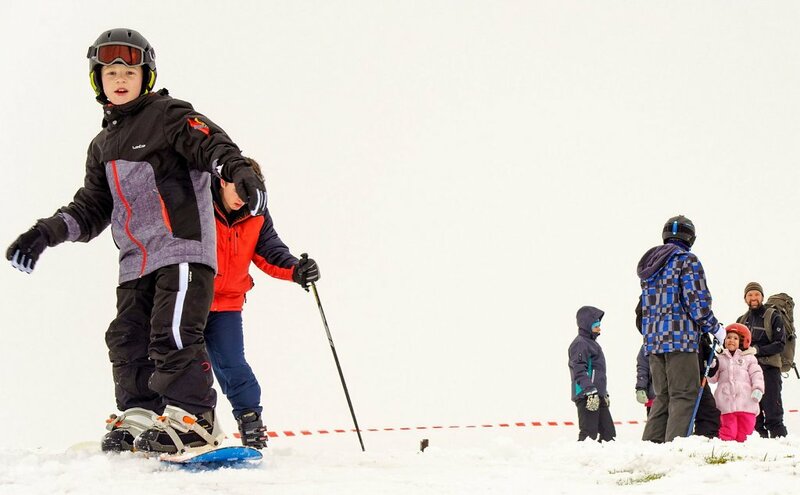 Families enjoy the slopes at the golf course in Leadhills. Clearing up the wrecked cabin.. 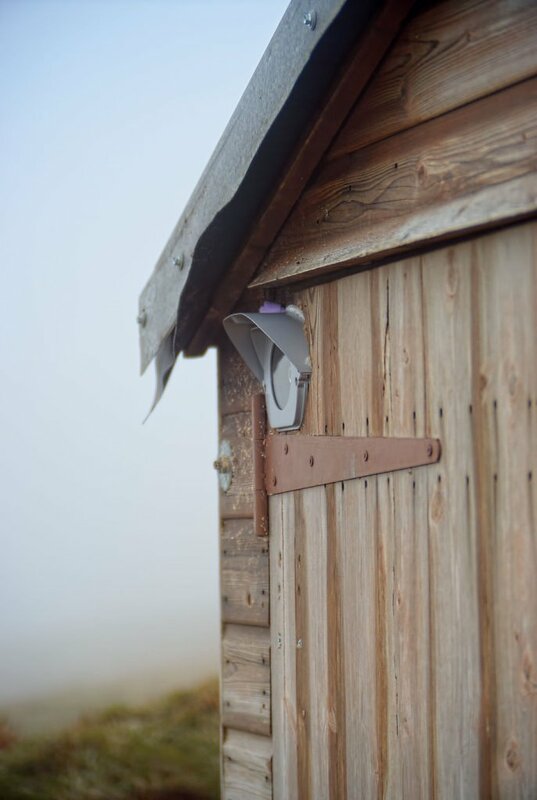 The 'Magnetic Gully' attracts things that we would rather stayed put. 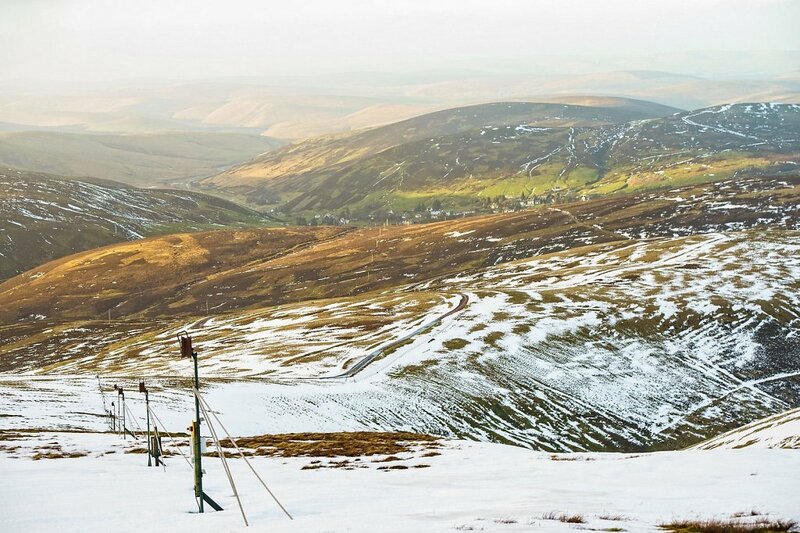 The ski slopes, gully, loch and around to Green Lowther. 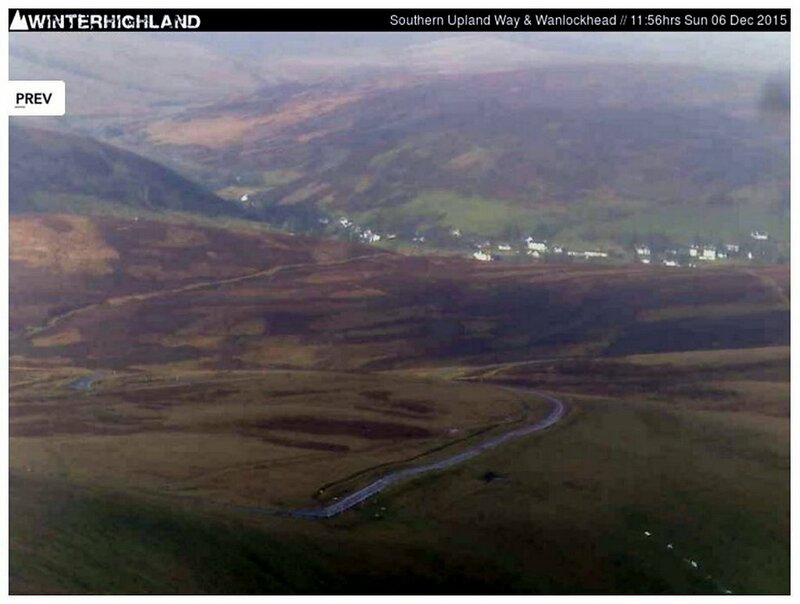 Thanks to the generosity of our members and supporters, we successfully crowdfunded our webcams and got them installed and set-up with the freely given time and expertise of the Inverness based Alan Mackay of winterhighland, a linchpin of the Scottish skiing world. This is where the camera views come from. Pieces of portacabin can be seen bottom right of the picture. 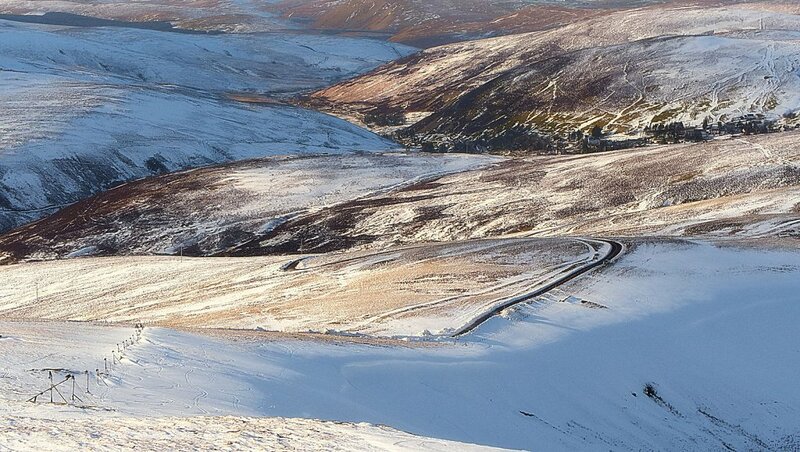 Sometimes the sun can thaw the west facing slopes and leave others deeply frozen. 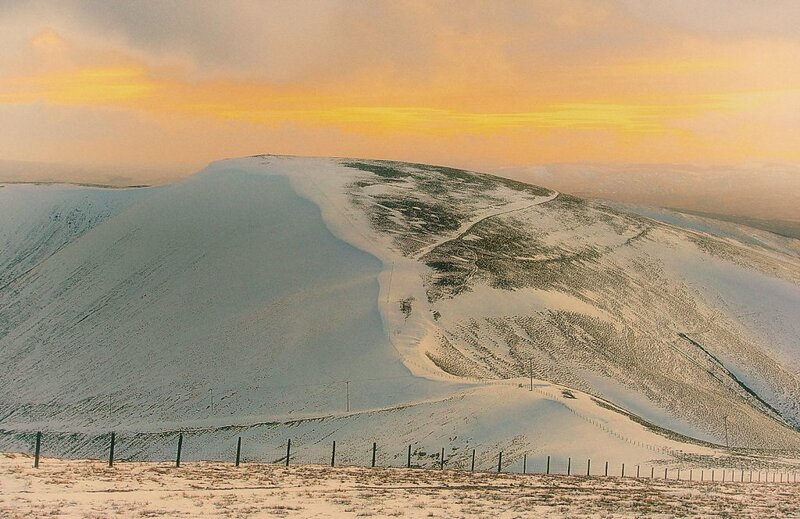 Thaws come and go, but the light and colours between snowfalls can be sublime. 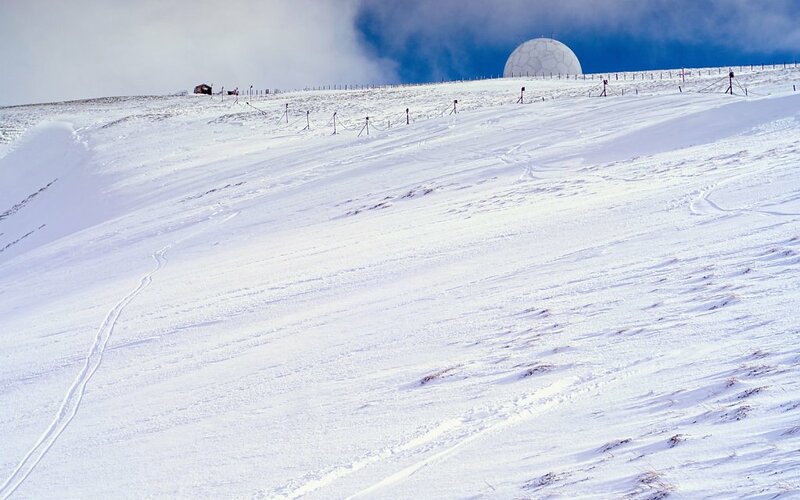 Colder conditions commonly follow the end of the late autumn/early winter storm season. Here we're on the hill beginning the clean-up. 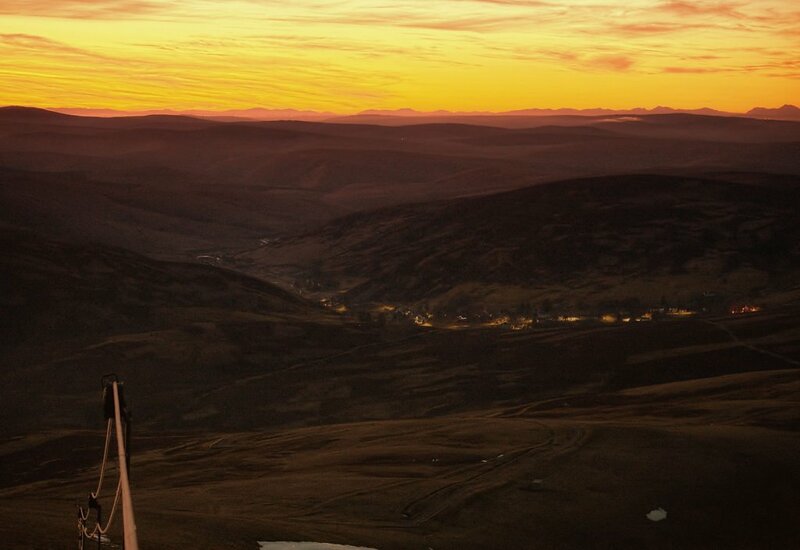 Just after sunset, the Wanlockhead village lights can be well seen from Lowther Hill. Looking west from Lowther Hill to sunset over the mountains on the island of Mull. I identified the hills of the Highlands on the picture I took on a superbly clear evening in April 2015. 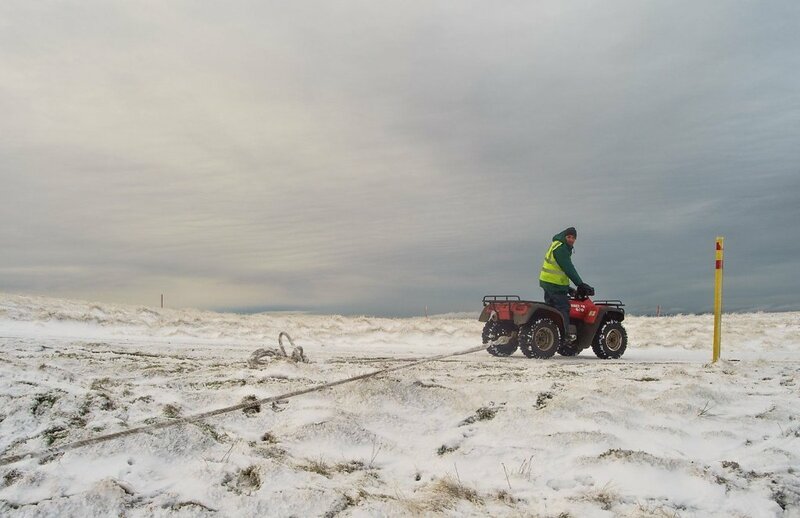 Drift by the ski tow. 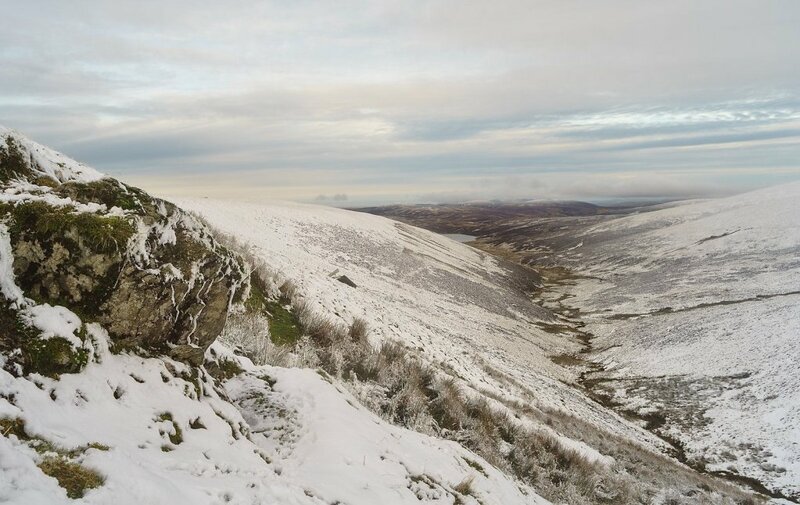 The shortcleuch gully provides a natural rollover which promotes the formation of deep drifts above it. 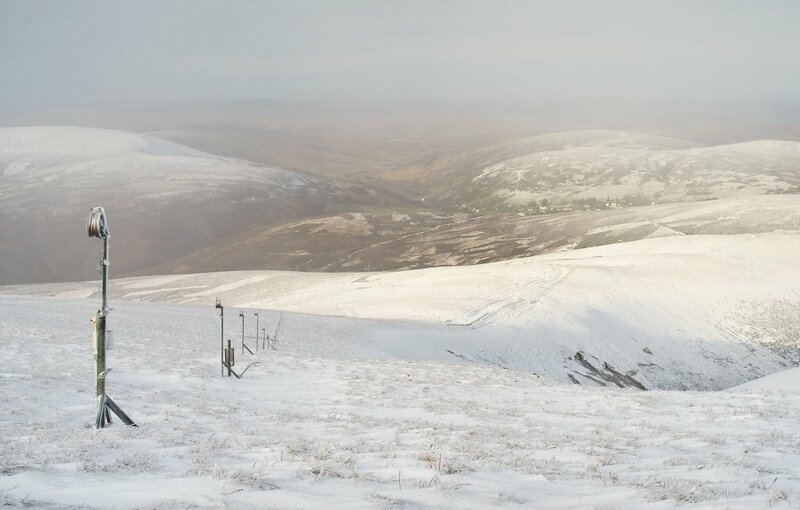 The Southern Upland Way long distance path leads off the summit, crosses the ridge and runs to Lowther Hilll before descending to Wanlockhead.